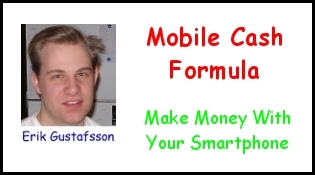 My name is Erik Gustafsson and I would like to tell you about a money making opportunity called, Mobile Cash Formula. 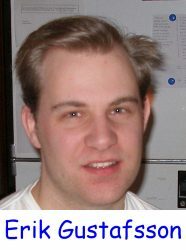 This formula or strategy is something that I have created to help you make money just using your smartphone and you can even start without taking any money from your own pocket. I will show you how to earn cash with Paid Actions ($1+/day), and then leverage that money to build your list and earn $10+ per referral. And all you need is a smartphone and a bit of time. That’s it!